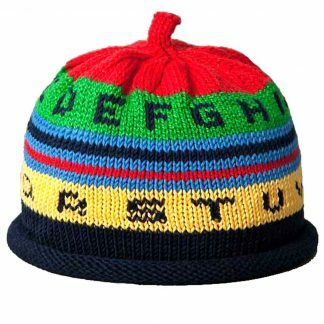 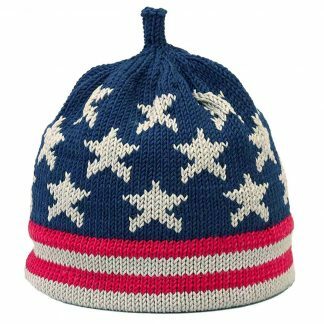 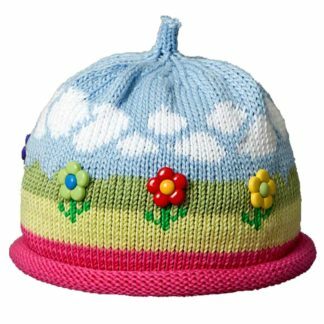 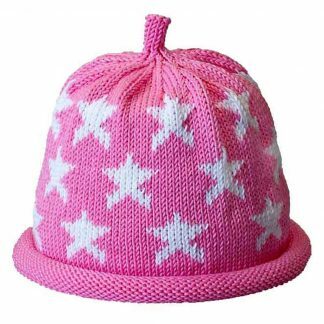 The knit hat is made with 100 percent mercerized cotton yarns that create a soft, delicate feel. 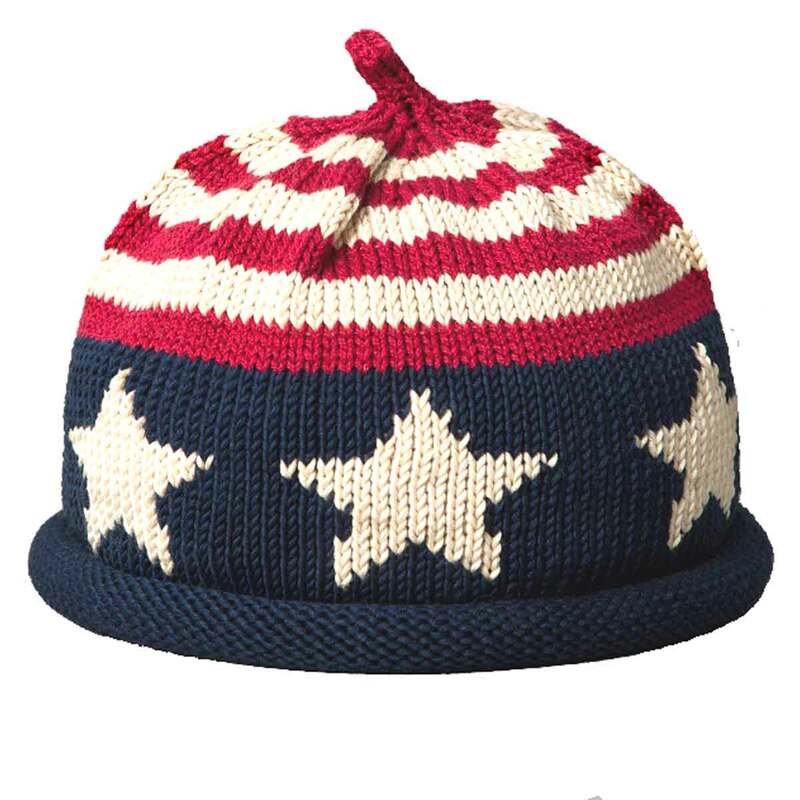 The rolled brim cap is inspired by the USA flag. The top half of the hat is red and white stripes with the Margareta Horn Design signature crown stem. The bottom half of the hat is navy with large white stars.